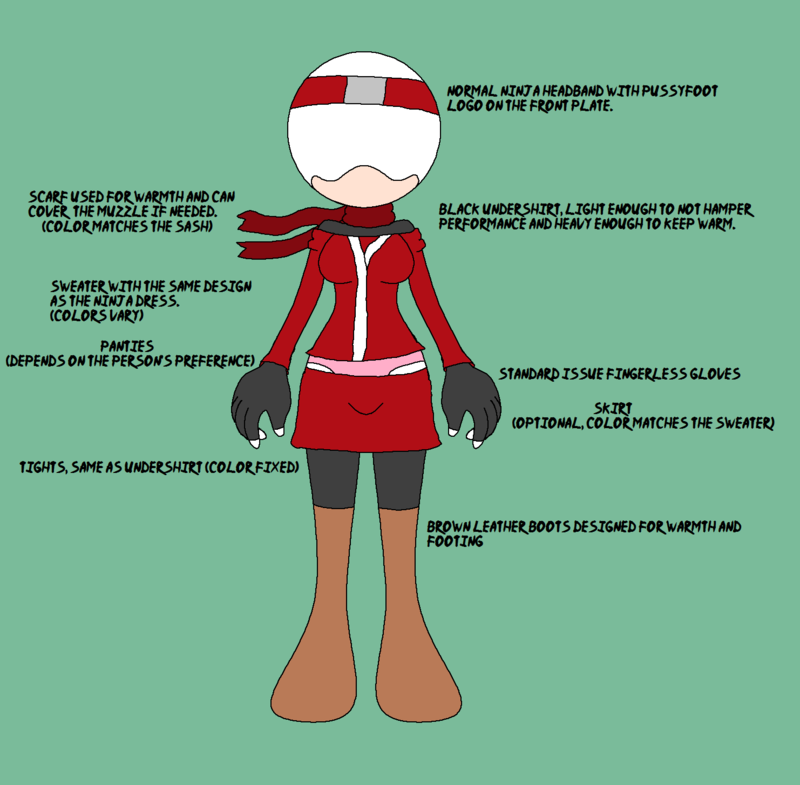 Even a Ninja must travel on mission in wintertime or in an arctic area, so these outfits are designed to keep them warm and not hinder performance. I got the idea from a picture of Kashi I had (still miss her) and decided to base the outfit around that with alterations made to the outfit. The outfit gives the ninjas warmth to fight off the evil cold weather and footing on the ice and snow. An original idea I had. The males wears a knit cap (absent from the female outfit due to not fitting right) and decked out in fur trim (it just looked stupid on the female winter outfit). The male's outfit is a tab bit heavier, but not by much. No place for a Katana, you must use a leather holster on this outfit to carry a katana. Bases was made by SparBases. The male was finished first and the female shortly after.